People often want to take workshops and the dates just don't match up with their schedules. Sometimes they watch the newsletter and webpage for years for their interest, free time and the workshop to all coincide. We've decided to be proactive in creating a forum for potential students to tell us what you need and when you can take a class. Please email us with workshop ideas and suggestions. More formally, we are experimenting with a workshop poll to determine when interested people can make particular workshops they really want to take. When can you make of of the following workshops? Call 650 355-7507 or email info@sjphoto.com for more information. "I have had the pleasure of attending Stephen Johnson's Print Critique sessions four times so far, and I expect to repeat the experience many times in the future. Stephen has an uncanny ability to spot color cast issues with his naked eye and to recognize cropping opportunities that significantly strengthen the final print. He also has a wealth of knowledge on paper and printer choices. He identifies both weaknesses and strengths in the submitted images in a way that makes you receptive to his suggestions. 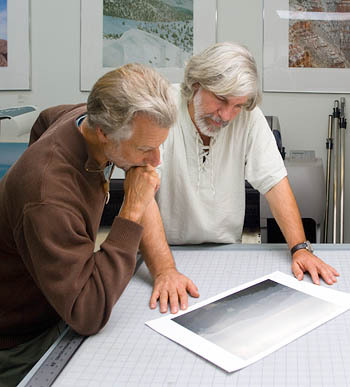 If you want to learn from a master printer and photographer in a very relaxed atmosphere, this is the place to do it." "As an old film-darkroom photographer, I sometimes find all the choices of digital imaging to be overwhelming. I have especially struggled with printing. I recently attended a Stephen Johnson Critique Session at his Pacifica studio in hopes of getting some feedback on my digital prints. I have never learned more in such a compact amount of time. Steve is generous and giving of his vast knowledge of digital imaging. He also gives advice in a manner that not only improves your technique but also refines your photographic vision. I would highly recommend these critiques to anyone interested in being a better photographer." Photographs and Text Copyright ©2015, Stephen Johnson. All Rights Reserved.